The BeAnimal movement started as a humble campaign to raise awareness about plastic pollution and help clear up the beaches of Agonda and Palolem in south Goa. We walked along the beach and spoke to tourists and locals about the problems of species extinction, deforestation and climate change. We answered a lot of queries that came up and for the most part had very interesting discussions with everyone we met. Tourists from abroad seemed to be much more aware of what was going on with the world and easily made the connection between diet, the environment and personal well being. A majority of the locals and tourists from within India had not given these issues much thought unfortunately. We asked many thought provoking questions and in some cases they worked out the answers for themselves. Our handmade postcards with motifs of 5 endangered species from the western ghat region was an amazing tool to raise awareness about the gravity of the situation facing these animals and also help raise funds for the installation of dustbins along the beach. On the beach is a nesting site for the Olive Ridley turtle and plastic in the ocean is completely destroying their habitat. We managed to save a lot of garbage from reaching the Arabian sea and made life a little easier for the mother turtles. We have also ensured that the bins get cleared on a regular basis and that this process continues in the future. We stumbled upon 'The Tribe' quite literally when a bike tire went flat and we turned off the road to search for tools to fix it. We didn't manage to fix the bike that day but what we found astounded us! The tribe is an off-grid community of people from all over the world who have come to Goa to live in balance with nature. We worked with The Tribe on several construction projects on their site. The communal kitchen was a fantastic project to work on. At over 2 stories tall and made entirely out of bamboo and construction timber it was really quite the interesting. We got a chance to gain so hands on experience with natural building materials on a real functioning sustainable community! The tribe gets all of its electricity from solar power, water from rain water harvesting and all the biowaste is handled on site. They are working hard to bring back the local wildlife and run a super effective snake rescue programme. We got our friend Kailash to come over and get some aerial shots of the place. Using these pictures we created a comprehensive map of the site showing all the huts and common areas. We overlayed all the other information like walking paths, water flow and connections to help inform future development on the site. We hope that more communities like this one will set the benchmark for what our ideal society will be in the future. The principles and philosophy of Permaculture and BeAnimal are virtually the same and it was inevitable that the two should merge at some point. The techniques of permaculture move us closer to creating an ideal society where everyone’s basic needs are met and nothing goes to waste. In a society like this, there is an abundance of resources even after every person has been fed, clothed and provided with shelter. In a society like this, we would not peddle away clean air and water for quick monetary gain. Permaculture is a system of agricultural and social design principles centred around simulating or directly utilising the patterns and features observed in natural ecosystems. Permaculture was created in the 1970's by Bill Mollison, an Australian ecologist and a professor at the university of Tasmania. If you want to learn more about permaculture and how you can apply it in your daily life then go over to The Roaming Farmer’s Facebook page. We have been working on a few projects in the Rishikesh area over the past couple of months- a barren piece of land that is being fought over in court, a piece of farm land on top of a mountain that has been damaged through years of burning and a park opposite the Rishikesh railway station. Each one of these projects presents a different challenge and provides us with a massive array of possibilities. It takes time to demonstrate and make people accept that even damaged land can be brought back to life. There is a great deal to be learnt from observing the land and much to be gained from working with experts. We are grateful for having the opportunity to spend time with such amazing people and be a part of transformative projects like these. On the 12 th of April, we were invited to give a talk at the Modern Institute of Technology in Rishikesh. The event was organized by Sudarshan who runs an organization called ‘Clean Green Rishikesh’ which is working towards reducing plastic pollution and spread green cover in the region. We were talking to a group of over one hundred and fifty students who are training to become teachers. In my speech, I tried to emphasize the importance of eating a whole food plant-based diet while trying to cut down on highly processed foods. We discussed the water footprint of various foods and also the land required to produce them. Tobias O’grady who is the founder of a Permaculture movement called ‘The Roaming Farmer’ also gave an impassioned speech about how we should all try and reduce the amount of single-use plastics we consume. He talked about recycling and the important lessons farming can teach us in our modern society. BeAnimal was invited to take part in ABC Charity’s event in April 2018. 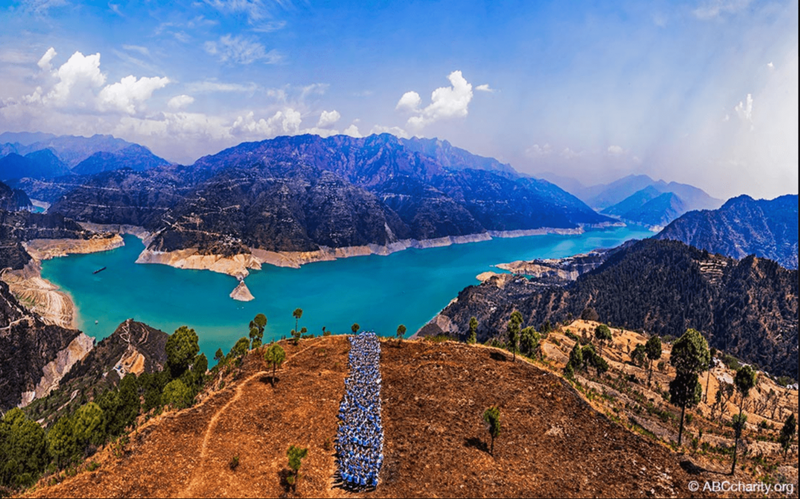 The event was held in the tiny village of Jyndasu which is close to Chamba in the state of Uttarakhand, India. The team from ABC charity are on a journey around the world, making one stunning photograph of kids standing in the formation of a letter in each country. The pictures can then be purchased by companies or individuals and the money from the sale of these pictures goes to a charity of their choice. In this way kids from around the world can participate in a global movement and help one another. Children from local school’s in the area were invited to the village to form a a giant letter ‘I’. Almost 450 students took part in the event and it was an action packed day with music, dance, games, snacks and surprise performance from the famous drummer Sivamani. The photo got clicked from a 20m tall platform overlooking a massive valley and it came out absolutely perfect! If you want to see more pictures from the event and find out more about ABC charity, please click here. On the day of the event, we helped out with overall coordination, project management and waste management apart from doing some stretches and breathing exercises with the children. The aim was to make sure that all the event did not damage the pristine ecosystem of the village and that nothing non-biodegradable was left behind. The Echoes of the Earth music festival was held on the outskirts of Bangalore city in mid-November 2017. It is said to be India’s first ecologically crafted music festival. 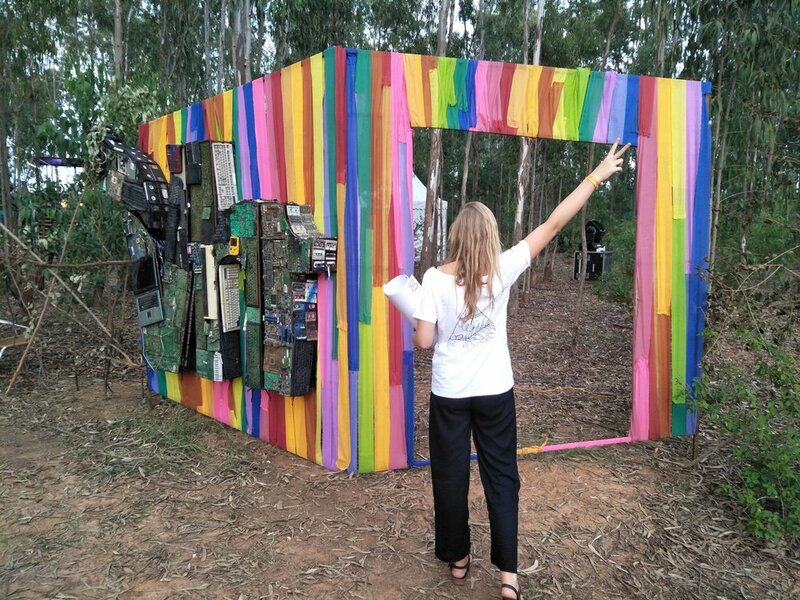 The venue was in a peaceful eucalyptus grove and there was a lot of incredible artwork and sculptures that had been prepared for the festival. After a quick visit to the office of the organizers, it was confirmed that we would have a stall at the festival. It was super nice of them to help us out like that because I asked for the space only two days prior! We got prepped and headed out to the venue without knowing what to expect. We got our stall set up and started interacting with the crowd. A lot of people stopped by to hear what we had to say and we had a lot of great conversations. 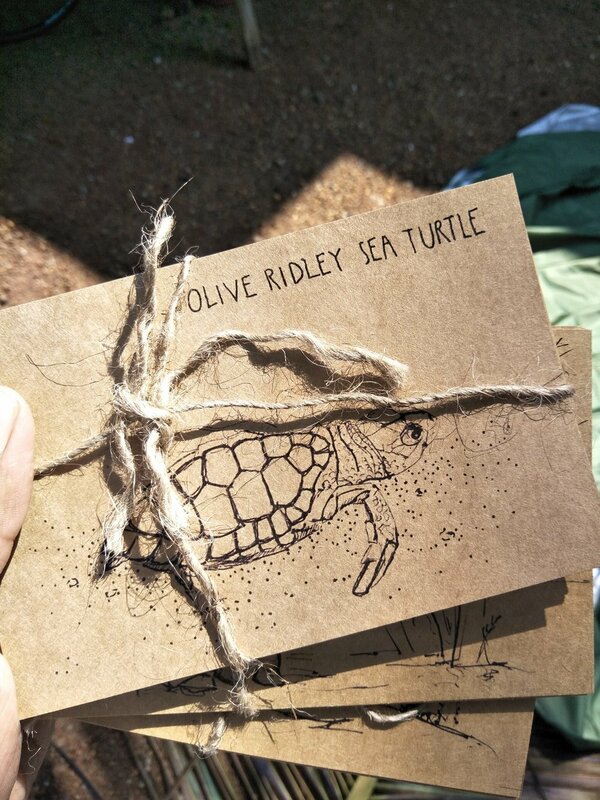 We sold postcards with motifs of critically endangered local species and dry fruit trail mix to help raise money for our beach clean-up campaign in Goa. The public perception of the movement was hugely positive and we even got a chance to meet our fellow activist Anushree Kamath at the event. Anushree runs a company called (‘The Happy Calf’’) which produces a variety of plant based cheeses, yogurts and milks. People will only start to reflect on new ideas once they have been exposed to the information and they are in a place where they can accept the truth. We gave out free information cards with facts, names of documentaries and other information that would help them make informed choices. A lot of people reached out to us to ask if they could support the campaign and we are truly humbled by this. Thank you (Echoes of the Earth) for giving us this awesome opportunity to bring these simple ideas of equality, love and peace to your audience! We certainly hope to collaborate again for an even bigger campaign! 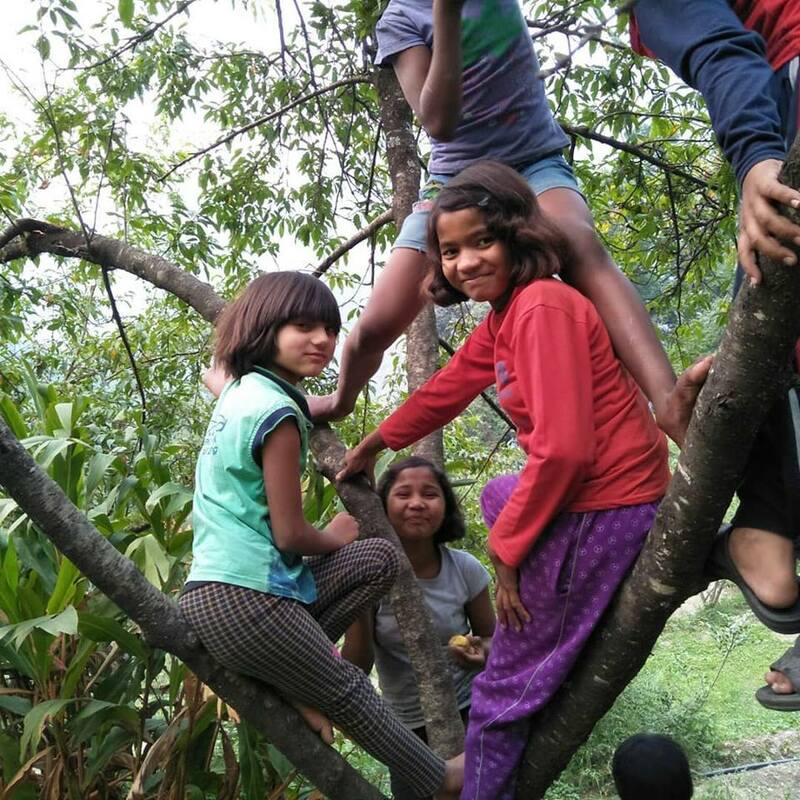 While interacting with the children at an orphanage in Rishikesh it became apparent how important education was in the fight for a cleaner planet. 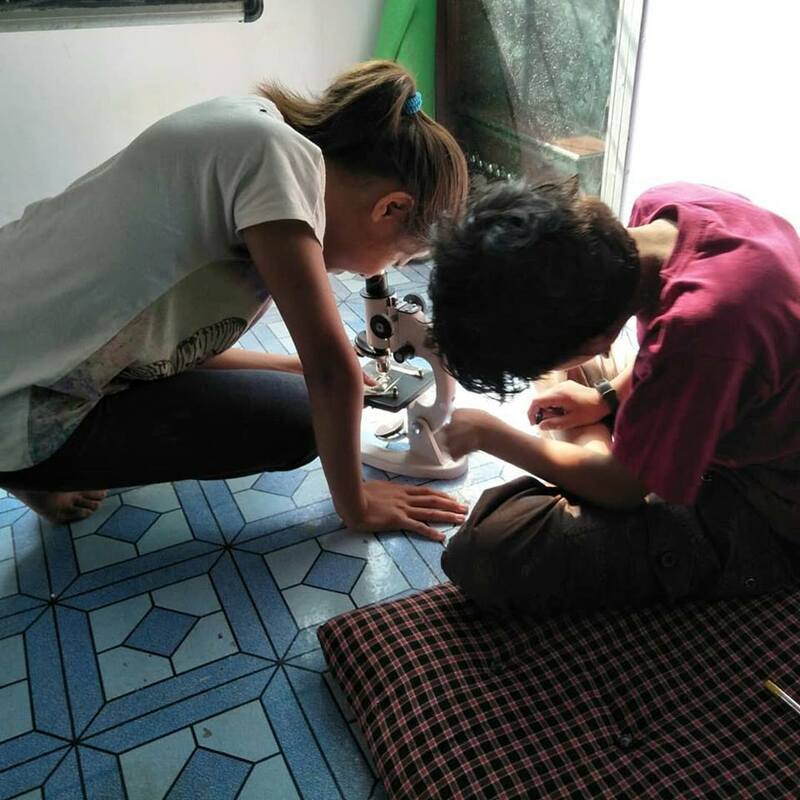 The BeAnimal team was teaching at Ramana's Garden children home in early 2018, helping prepare the older kids for their public exams. We started talking to them about environment and sustainable development and found that they were super excited about all this new information. We realized that we would make slow progress until all the nutrition and environmental information was added to the standard school syllabus. India does not have any nutritional guidance in schools and this means that most kids get their nutritional information from ads on TV. This is why so many Indians have chronic illnesses like diabetes and coronary artery disease at a very young age. The only way we can combat this is with a counter narrative that convinces children that eating fruits, vegetables, nuts, seeds and berries makes you a superstar! When something is based on science it's teaching, not preaching! SNC Shyamavan is a school with a difference. A place where you can let your creativity run free. 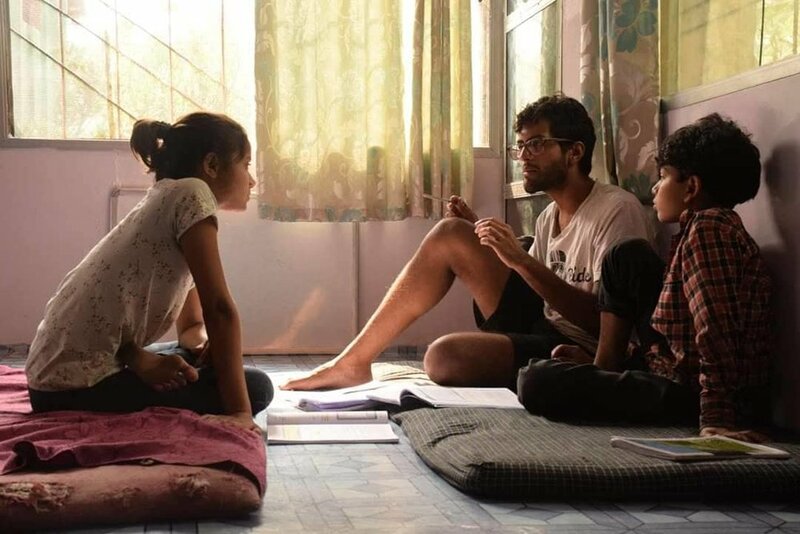 This alternative school for underprivileged kids is hidden deep within the Himalayas. I had the opportunity to travel here in mid 2018 after a friend in Rishikesh told me about this place. I didn't know what to expect when I made the 10 hour journey up into the mountains. What awaited me there was more beautiful that I could have ever expected. The school is almost fully self-sustained and they grow most of the food that the children eat. They have solar water heaters and solar-photovoltaics to provide them with hot water and electricity. My work at the school was to teach maths and science for some of the middle school students as well as a class on science and technology for all the high school students and other teachers. We were also working on translating short stories from Hindi to English. (a task which made my Hindi improve a fair bit as well) We also did a lot of conversational English practice with the kids. Two friends of mine, Toby from Australia and Julian from Austria, also came to teach permaculture to the students and we had a fantastic experience and learnt loads from each other. The dedication that it takes to run a school like this is not to be taken lightly and this is also something I realized while staying there. This school is located just outside the busy, port city of Kochi in Kerala. 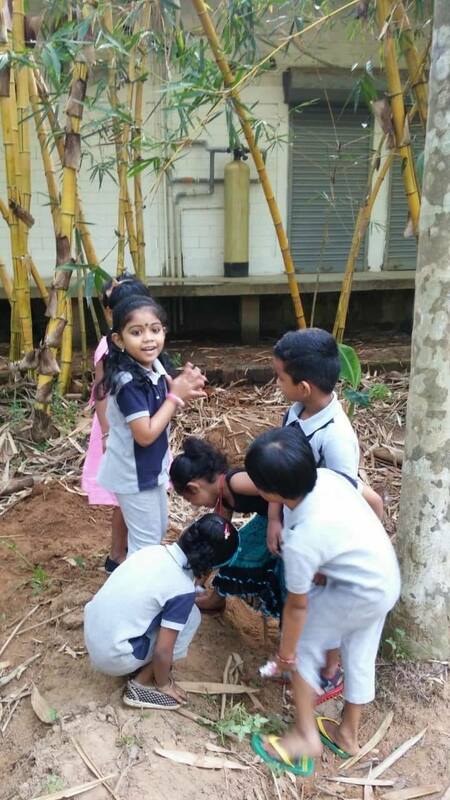 In the month of August 2018 the largest flooding even in a century occurred in Kerala and thousands of homes were damaged - Including the school where we were teaching. The water level had reached the tops of the doorways before in subsided. We were asked to come over and help rebuild the school which at the time was short on resources and staff. During the month that we were there, we worked on several permaculture projects and tried to make better use of the waste water. 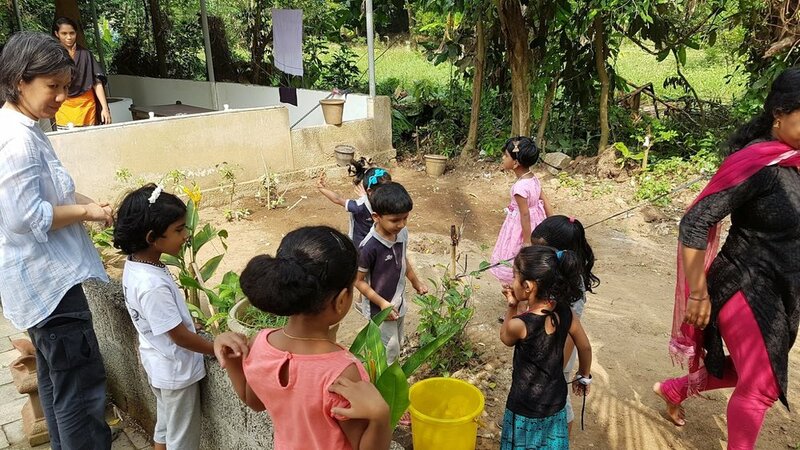 The overflow from the water tank was connected to the banana plants in the backyard and the place where the kids washed their hands was connected to a freshly dug swale in the front garden which was being mulched and prepped. Plastic and organic waste was separated and a new composting programme was initiated. It is quite hard to convince people in India (especially some farmers) because they always think their way is always best. They don’t understand the importance of mulching and protecting the soil. The kids got to spend sometime in the garden learning about plans and natural processes. Hopefully they will take this knowledge with them and change the way agriculture is practiced. Curbing urban sprawl and growing more food will help protect the land from future natural calamities. In early March 2019 the BeAnimal team moved to Hanoi, Vietnam. There is a huge demand for English teachers in the city and we have been giving a number of classes to primary and secondary students here. The schools usually provide us with a teaching assistant who help translate questions to the kids and this helps us a lot in the classroom. Personally, I feel that there is a much more efficient way to teach a language to young kids. Their brains are so sharp and they learn so fast even from just watching cartoons in English and playing video games. We try to do our best in the classroom but in most cases (especially for secondary school) the textbooks far outstrip the student’s ability to comprehend the text.